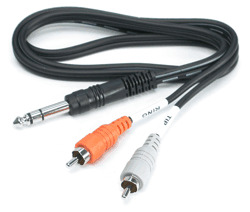 Send Return (also known as a Insert Cable), conventionally wired: TIP = Send, RING = Return. Can be used as a "Y" to split stereo signal into Left and Right. In this case, Right = RING and Left = TIP.